There are many different types of electrodes used in the shielded metal arc welding, (SMAW) process. The intent of this guide is to help with the identification and selection of these electrodes. Arc welding electrodes are identified using the A.W.S, (American Welding Society) numbering system and are made in sizes from 1/16 to 5/16 . An example would be a welding rod identified as an 1/8″ E6011 electrode. The “E” stands for arc welding electrode. The next to last digit indicates the position the electrode can be used in. The last two digits together, indicate the type of coating on the electrode and the welding current the electrode can be used with. Such as DC straight, (DC -) DC reverse (DC+) or A.C. I won’t describe the type of coatings of the various electrodes, but will give examples of the type current each will work with. EXX10 DC+ (DC reverse or DCRP) electrode positive. EXX11 AC or DC- (DC straight or DCSP) electrode negative. SMAW is performed using either AC or DCcurrent. Since DC current flows in one direction, DC current can be DC straight, (electrode negative) or DC reversed (electrode positive). With DC reversed,(DC+ OR DCRP) the weld penetration will be deep. DC straight (DC- OR DCSP) the weld will have a faster melt off and deposit rate. The weld will have medium penetration. Ac current changes it’s polarity 120 times a second by itself and can not be changed as can DC current. 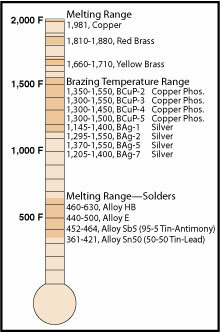 The following will serve as a basic guide of the amp range that can be used for different size electrodes. Note that these ratings can be different between various electrode manufactures for the same size rod. Also, the type coating on the electrode could affect the amperage range. When possible, check the manufactures info of the electrode you will be using for their recommended amperage settings. Note! The thicker the material to be welded, the higher the current needed and the larger the electrode needed. This section will briefly describe four electrodes that are commonly used for maintenance and repair welding of mild steel. There are many other electrodes available for the welding of other kinds of metals. Check with your local welding supply dealer for the electrode that should be used for the metal you want to weld. E6011 This electrode has the same characteristics of the E6010, but can be used with AC and DC currents. E6013 This electrode can be used with AC and DC currents. It produces a medium penetrating weld with a superior weld bead appearance. It is hoped that this basic information will help the new or home shop welder identify the various types of electrodes and select the correct one for their welding projects.